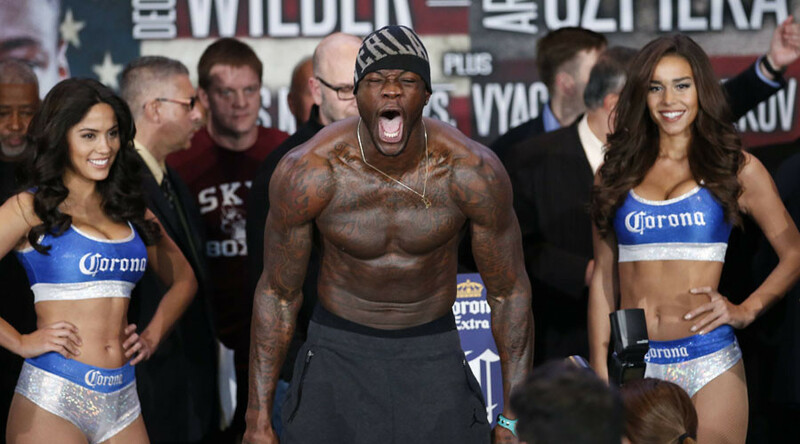 World heavyweight champion Deontay Wilder has suffered a further fight cancelation due to doping after planned Polish opponent Andrzej Wawrzyk tested positive for an undisclosed performance enhancing drug (PED). WBC king Wilder, 31, was scheduled to face Wawrzyk on February 25 date at the Legacy Arena, Birmingham, in his home state of Alabama, US, in the fifth defense of the vacant title he won against Canadian Bermane Stiverne in 2015. Wilder’s promoter Lou DiBella confirmed in a tweet that his fighter will defend the title on the original date and venue, saying he is “Proud to promote a clean Champ!” DiBella is understood to be looking for a new opponent for his charge. It is the second time in eight months KO-artist Wilder, who is unbeaten in 37 contests and has won 36 by stoppage, has had a fight canceled due to an opponent test positive for a banned substance. Stiverne is the only man to take him the full distance in a professional fight. The first came in May 2016 when his fight against Russian boxer Alexander Povetkin was canceled in the week leading up to their scheduled May 21 date in Moscow after Povetkin’s fourth and sixth doping tests were found to contain 0.07 micrograms of meldonium. The substance was added to the World Anti-Doping Agency (WADA) list of banned substances on January 1 last year, and was central to a doping scandal that rocked Russian sport in early 2016. 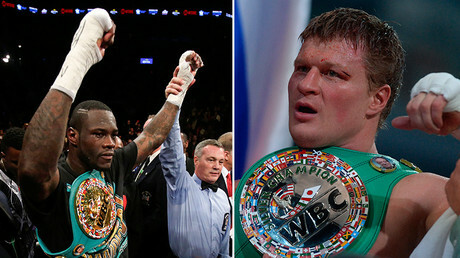 Despite Povetkin’s protestations of innocence, the incident sparked a bitter battle between the Wilder and Povetkin camps. DiBella sought to sue Povetkin, but World of Boxing head Andrey Ryabinsky, who promoted the fighter, countersued, seeking around $34.5 million for a breach of contract and defamation from DiBella. The boxer nicknamed ‘Russian Vityaz’, 36, was then cleared by WADA of doping, but was ordered to undergo extra drug testing at his own expense for the next 12 months, with another failed test in that time meaning he would be banned indefinitely from all WBC events. Povetkin was then scheduled to face former Wilder foe Stiverne – who himself tested positive in November for PED methylhexaneamine – for the WBC international heavyweight title in Ekaterinburg on December 17. However, those plans were thwarted again when Povetkin tested positive for another banned substance, this time his test showing positive for ostarine, and Stiverne refused to fight. Povetkin instead faced Frenchman Johann Duhaupas, controversially winning by sixth round knockout.